Pia Pakarinen, Helsinki's Deputy Mayor, Alain Galliano, Vice-President of Lyon Métropole and Jean-Michel Daclin, President of ONLYLYON Tourism and Congress, received European Capitals of Smart Tourism 2019 trophies on behalf of their cities and were delighted that long-term efforts in creating smart environments for tourists in their cities have been recognised at EU-level. 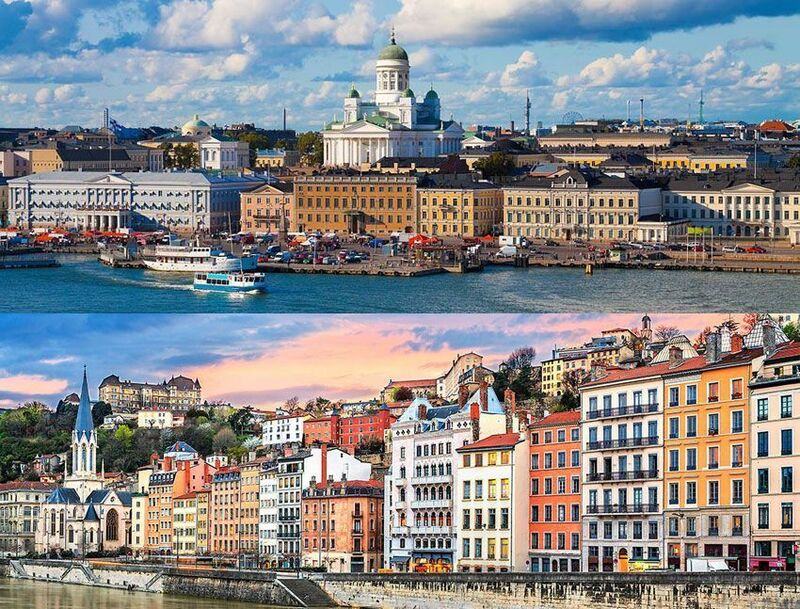 Pia Pakarinen, Helsinki's Deputy Mayor commented: "We very much appreciate the opportunity to be the first European Capital of Smart Tourism. The first ones always set the bar and we aim high." David Kimelfeld, President of Lyon Métropole, proud of his city's achievement said in a video message: "The exchange of good ideas has always moved us forward in Europe and that is why we are so pleased to receive this Award and to have the opportunity to share with other European cities a few of our ideas about smart tourism. We hope with our initiatives we can also inspire other cities!" The European Capital of Smart Tourism is a new EU initiative, based on a proposal from the European Parliament, which secured its funding for 2018 - 2019 through a Preparatory Action. The initiative seeks to strengthen tourism-generated innovative development in EU cities and their surroundings, increase their attractiveness as well as strengthen economic growth and job creation. It also aims to establish a framework for the exchange of best practices between cities participating in the contest, create opportunities for cooperation and new partnerships. Lyon's representatives will be travelling the globe for shows, press meetings and special events to inform new audiences about the city's smart opportunities. These activities will be supplemented by Lyon's 26,000 strong network of ambassadors. The city is also launching its "World Travel Influencer Meetings" and is taking part in the Global Sustainability Programme.